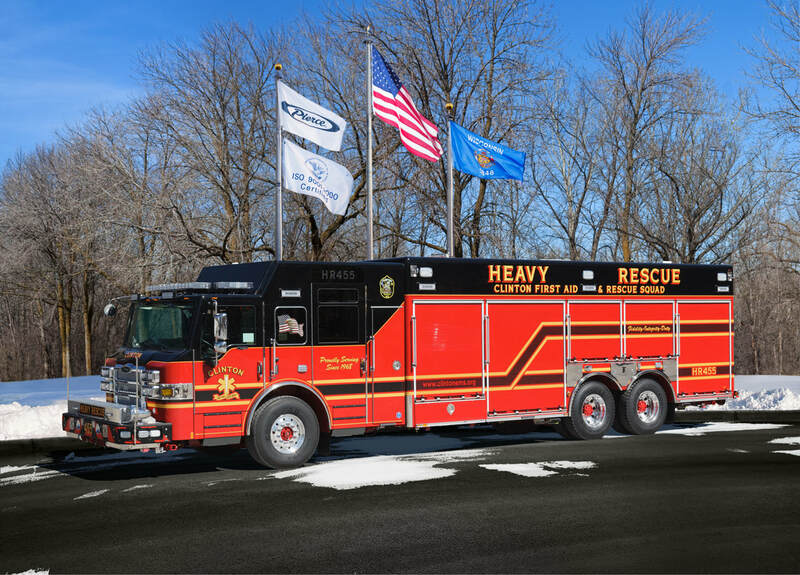 Rescue 455 - 1997 E-One Rescue Truck was added to our fleet in December 2017, replacing a twenty year-old aging Technical Rescue Trailer and the former Special Services 455 unit. This unit will be used as part of our response to Technical Rescue calls, as well as a back up to our Heavy Rescue unit. It was purchased from Genoa Kingston Fire Protection District in Illinois. The unit carries technical rescue equipment, including lumber and panels for trench and collapse rescue, ropes for high / low angle rescue, has an SCBA cascade system, a light tower and 25kw PTO generator. Former BLS 4552 was converted to Water Rescue 455 in November 2017. This unit is a 2006 F-450 Ford Super Duty Chassis with a Power Stroke diesel engine and a PL Custom Body - Crusader box. The unit carries equipment to support our surface and swift water rescue operation, as well as tow our boats. 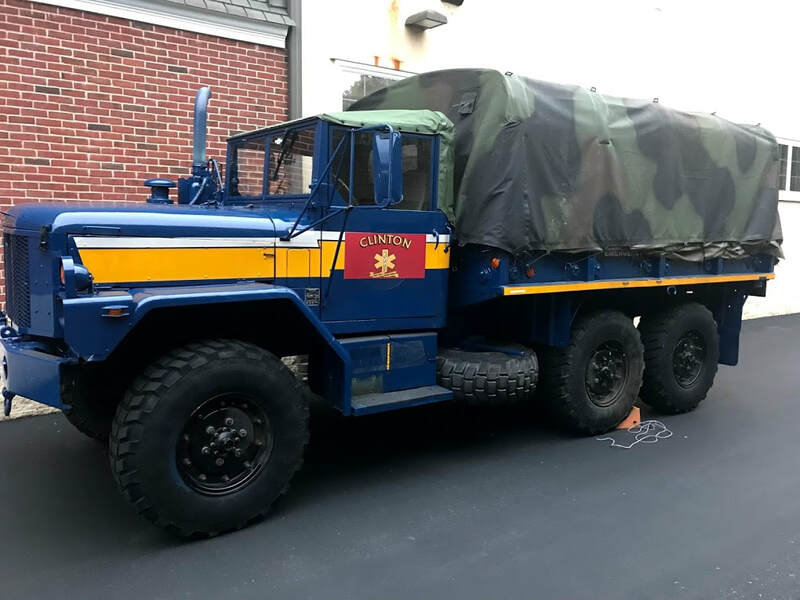 NEW 9/14/2018 - Special Services 455 is a donated vehicle outfitted as a high-water rescue/evacuation unit. This unit came to us at no cost thanks to the First Aid & Rescue Squad of Somerville, who has the sister unit. 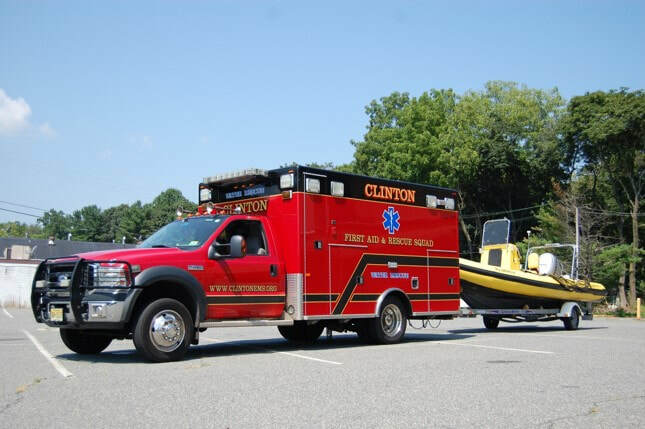 Both were previously operated by the Manasquan OEM in Monmouth County as a high water vehicle. 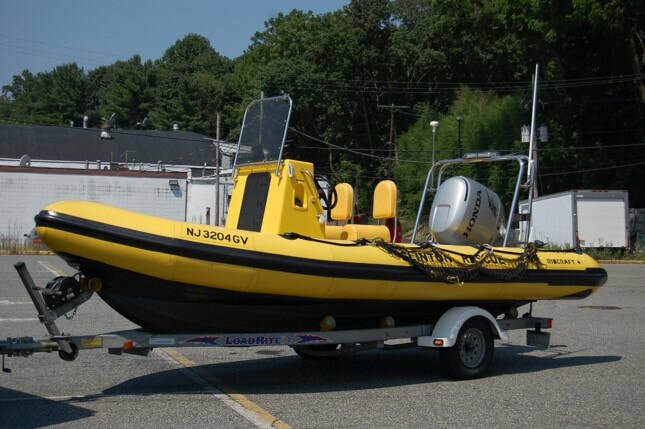 Marine 455-2 is a 2004 Ribcraft semi-rigged inflatable rescue boat. It is outfitted with a 115 HP Honda 4 stroke out board motor, GPS, depth finder & VHF radio. 455-2 is the primary response boat.